Is It Safe To Supplement With Calcium? Ironically, not only does a deficiency of calcium cause bone and tooth loss, difficulty with muscle contractions and diminished nerve function but too little calcium also accelerates atherosclerosis by causing excess leaching of calcium from bone into the bloodstream where it calcifies arteries. In validated models of atherosclerosis, calcium-deficient diets increase the rate of tissue calcification by 170% while calcium-supplemented diets reduce calcification by 62%. This is the exactly the opposite of what everyone was so worried about! Now even with the new guideline giving the green light to calcium supplementation in general, we want to be very clear that there are several steps you can take to improve the likelihood that the calcium supplement you take has the greatest possible chance of improving and protecting your health. We researched calcium extensively when formulating our patented multivitamin – nutreince, because it was such a key player in helping Mira reverse her advanced osteoporosis. During that time we discovered 7 facts that you should know about calcium to ensure the greatest absorption and utilization potential possible. Make sure you are getting the right form of calcium. Did you know that there are many different forms of calcium? The best and only form of calcium that can be absorbed properly without food (and we don’t want you to take your calcium with food because the different vitamins and minerals in that food can compete with your supplemental calcium for absorption and reduce or eliminate calcium’s beneficial effects) is calcium citrate. This is because calcium citrate brings with it its own acid – calcium citrate is calcium + citric acid – and the stomach needs an acidic environment to properly absorb calcium. Our multivitamin, nutreince, contains the beneficial form of ionically converted calcium citrate. The body’s ability to absorb calcium is beneficially increased when vitamin D is sufficient. This is why if you are taking a calcium supplement you should also be taking adequate amounts of vitamin D to ensure sufficiency. nutreince contains 2000 IU of vitamin D3 to ensure optimal calcium absorption and utilization. In addition to vitamin D, calcium needs vitamin K2 in order to move from the arteries to the bone where it can be used to treat and prevent osteoporosis. Taking calcium without being sufficient in vitamin K2 can still leave you at a much greater risk of developing osteoporosis. nutreince contains both types of vitamin K2 (MK-4 and MK-7) and it is the only multivitamin to do this. Magnesium matters. Magnesium is a natural calcium channel blocker. Any deficiency in magnesium can induce elevated intracellular calcium concentration and accelerate atherosclerosis. nutreince is one of the only multivitamins on the market to contain a full 400 mg of magnesium in its most absorbable state. But watch out! You don’t want to take a supplement that combines calcium and magnesium in one pill. These two micronutrients are naturally competitive and each will decrease the absorption and/or utilization of the other. Beware of calcium depleting foods. Above and beyond food containing micronutrients that can compete with your supplemental calcium for absorption, some foods also contain naturally occurring anti-nutrients – such as phytates, oxalates, lectins, phosphoric acid, alcohol, caffeine, tannins, sugar, HFCS, BPA and Phthalates – which all deplete calcium. nutreince can be taken away from foods that contain these anti-nutrients, and can help to replace any calcium lost from ingesting these anti-nutrients. Timing matters. Although we love and recommend exercise, it is also a micronutrient depleter and that includes calcium. Research shows that taking your calcium supplement 30 minutes prior to a workout can offset some of the calcium depleting caused by exercise. 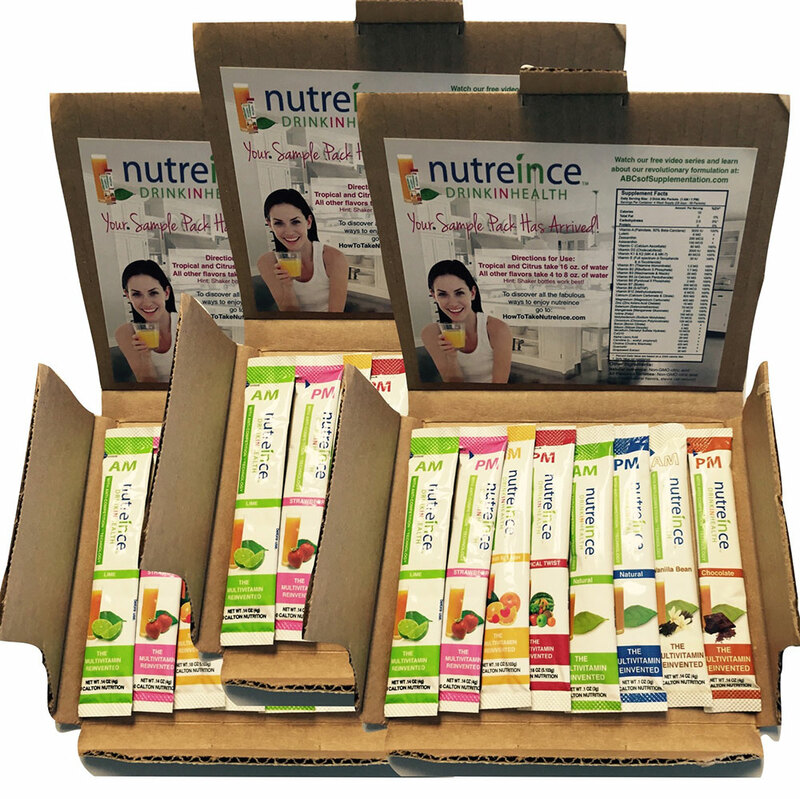 nutreince is a delicious multivitamin drink that can be taken 30 minutes prior to exercise on an empty stomach. THE BOTTOM LINE: CALCIUM IS ESSENTIAL BUT SUPPLEMENT SMART! 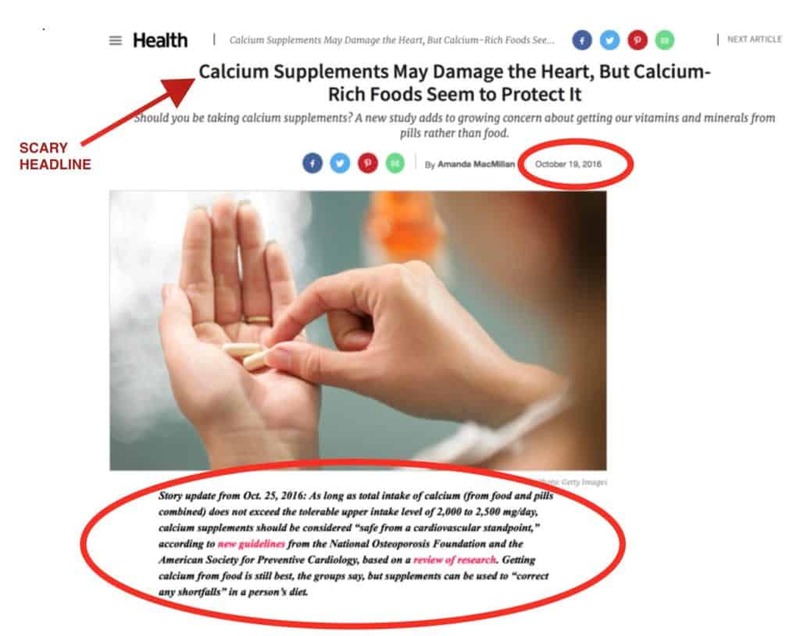 The bottom line is that calcium is an essential micronutrient and must be sufficient if you are going to achieve optimal health and a deficiency in calcium may actually cause the atherosclerosis that the media was blaming on its supplementation. According to a new guideline issued by the National Osteoporosis Foundations (NOF) and the American Society for Preventive Cardiology (ASPC) calcium has also been shown to be safe to take as a supplement in quantities less than 2000 – 2500 mg per day. However, not all calcium supplements are equal. Make sure you find one that contains the best form (calcium citrate), the correct quantity (500 – 600 mg) and contains the necessary synergists (vitamin D, magnesium, and vitamin K2) to ensure you are getting the most out of your calcium supplement. Just listen to this incredible testimonial from a recent customer who experienced miraculous results from taking nutreince. After years of wasting money on numerous supplements that didn’t work Kalyn’s health finally improved–something she attributes to becoming micronutrient sufficient using our patented formulation. “All of the Calton nutritional products are created for maximum benefits, second to none, in my opinion. They have done very thorough research to back up the technology they use in the creation of these ultimate products. Their website is loaded with information, check it out. If you would like to start a journey towards optimal health you have found the right starting point! I have tried all of the Calton's products and it has made a huge impact on my health. I had been very ill and I had started to lose hope after a year and a half of going the the doctors constantly, with every procedure, lab work-up, and surgery imaginable done for my condition. I was told I was critical, and within the year they said I would only deteriorate be in a wheelchair and then die. This was devastating news to my family and me . I did not like this determination, however, God blessed me with research (the great internet) and I found Calton Nutrition. I am not 100% cured (yet) but I am not in a wheelchair and I am no longer deteriorating. I have healing yet to happen but I am far from where I was when I started the “Micronutrient Miracle Program”. The program is super easy to follow and adjust to your lifestyle. I will continue to work the program and use their products. They have made such a positive impact on my recovery I can hardly believe it myself. I am truly grateful. My biggest thanks (and my families) to Mira and Jayson Calton and their fabulous team!” –Kalyn H.
Grab Your Free Sample Pack Today & Give Your Body Permission To Feel Extraordinary Health Benefits Today.